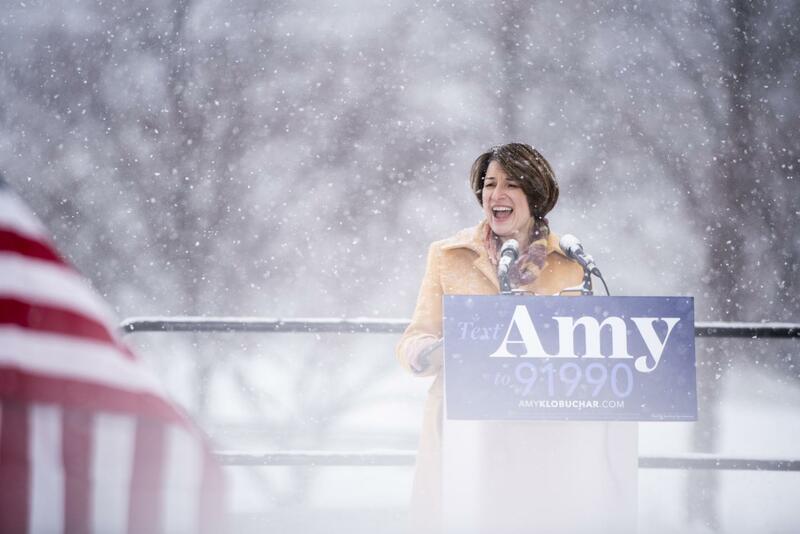 Senator Amy Jean Klobuchar was born on May 26th 1960 in Plymouth, Minnesota. Her father was a successful journalist, and her mother, an elementary school teacher. She is of both Slovene and Swiss descent. Klobuchar attended Yale University (Class of 1982: political science major) and proceeded to attain her law degree at the University of Chicago. Klobuchar published her first book, Uncovering the Dome, in 1986. She worked as a telecommunications attorney and then proceeded to serve as Vice President Walter Mondale’s legal adviser. She was also responsible for the 48-hour mothers’ hospital grant after her daughter had personal complications during birth. Klobuchar has been a Minnesota senator since 2007, where she now serves as a Senior Democratic Minority Steering Chair. She announced her candidacy on February 10th, 2019. Within 48 hours, she hit $1 million in campaign funding, and will not be accepting funding from Super PACs. Klobuchar has leaned in the moderate left for quite some time. She stands in the middle of most issues and only has a slight left lean, with a couple of issues such as feminism and healthcare pushing her toward the left. Her more approachable and realistic stance on issues like gun control and climate change keep her grounded as a moderate, and her views have remained steady through her years in government. Klobuchar’s modest views have also fueled her position as the Steering Chair of the Democratic Party. Klobuchar has consistently supported any bills involving a greater reach in healthcare and any bills that involve the cutting of healthcare costs. She has also remained steady with her crackdown on foreign policy issues and has voiced her concern over ISIS and North Korea. Her abortion records have also remained steady, with consistency in votes against pro-life and for pro-choice. She has also strongly opposed privatizing social security. 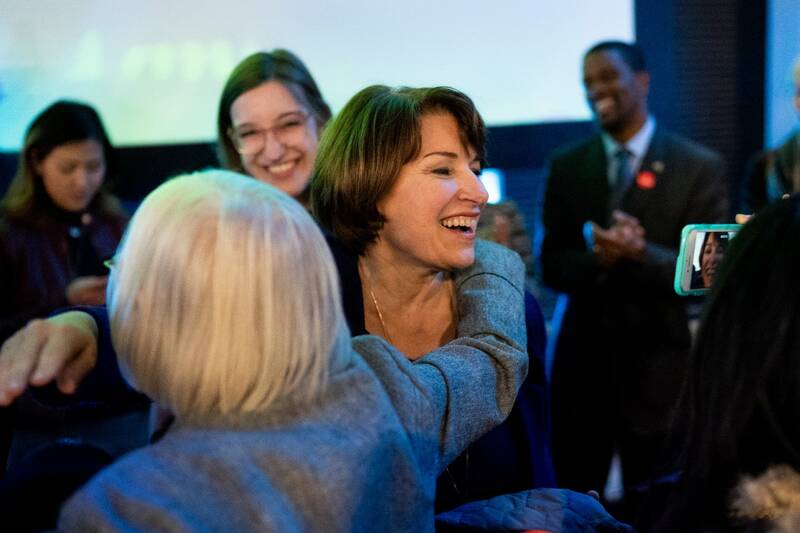 Klobuchar’s main central platform circles around the issues of healthcare and climate change. She favors progressing the US to a universal healthcare system and endorses an alternative program known as Medicare Advantage (Medicare with extra benefits). She is trying to expand Medicare to those ages 55+ but has not expanded on specific plans to carry this out. Another thing she has confirmed is that she will definitely re-establish America within the Paris Climate Agreement upon her first day of office. 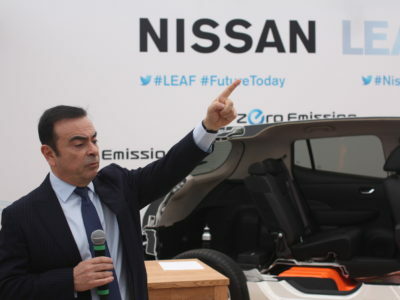 While she admires the Green Deal’s ambition, she believes it is not a realistic goal given only ten years of time, but will aim to achieve the UN climate panel goal of cutting global emissions by 45% by 2030. She is an avid pro-choice supporter, advocating for abortion to remain between a woman and her doctor, and supports the LGBTQ community. She advocates for a reasonable gun control policy to be passed, which would not hurt hunting in the process. 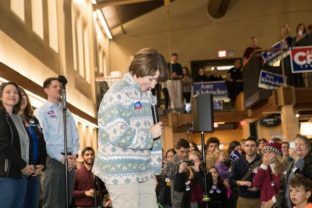 Klobuchar has remained relatively quiet on the issue of marijuana, especially in public, and her silence (and limited remarks on support) have left many confused. Her campaign also acknowledges major issues like closing tax loopholes, immigration, and tougher foreign policy against countries like Russia. Klobuchar has come under fire recently for mistreatment of her staff. She has been accused of throwing various objects at different members in her staff and has given them demeaning tasks. When questioned about her unusual tactics, Klobuchar has responded saying, “Am I a tough boss sometimes? Yes. Have I pushed people too hard? Yes. But I have kept expectations for myself that are very high. 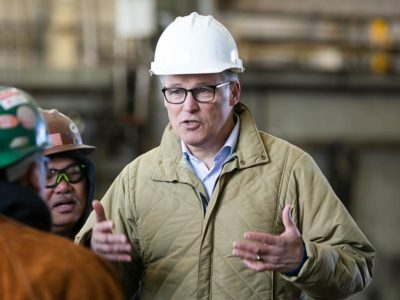 I’ve asked my staff to meet those same expectations.” It is also important to note that some of Klobuchar’s staff have supported her methods of leadership, saying that her leadership is reasonable and effective. Another difficult criticism Klobuchar faces in her 2020 run is the same one that Sen. Kamala Harris also faces. The pair have both served as prosecutors in their respective states. 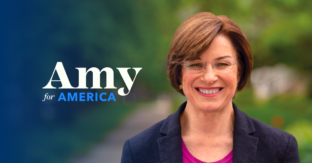 Although Klobuchar had previously used her prosecutor status to establish a solid career in government, the profession is now regarded as fueling the racial and class system divide that we now face in the criminal justice system. Her no-nonsense criminal prosecution techniques have further established her position as one of the tougher and more uptight candidates. Klobuchar may also face difficulty moving on in her campaign because of her left-leaning moderate status and focus on smaller issues in the Senate. With the 2018 midterm elections, the Democratic party witnessed the introduction of several newer, younger, and more radical Congress members. 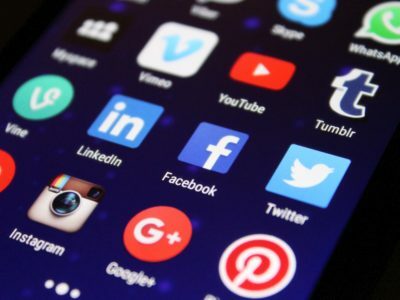 As a party senior, Klobuchar may struggle against other candidates, notably, individuals like Bernie Sanders, who have attracted more of the youth and the majority of the party due to their radical left positions. Klobuchar has been dubbed the “Senator of small things” for focusing mainly on the passing of smaller bills within Congress. While she is extremely popular in her home state of Minnesota, many aren’t sure if she’s what the Democratic party and voters are looking for in 2020. Image via MPR; Klobuchar accepting Senate Seat after 2018 midterm election. Klobuchar has done extremely well in her home state of Minnesota, serving as a 3 term senator (since 2007). She has the second highest state approval rate, with 89.5% of Minnesota’s citizens approving her terms. She has consistently exceeded expectations within her senate electability, leading at a 57%-34% in her Senate run last year. However, this success within her home state of Minnesota is not really expected to carry through in the early primaries. Only around 6% of voters (projected) in Iowa would consider voting for Klobuchar as their first or second choice (3% say she would be their first choice). It is also important to note that Klobuchar typically tended to perform well with white voters, but also struggled to gain the minority vote. Class wise, she performs well in the working and upper class. Her respect for the Republican party has also led several Republican senators to gush over her bid for the presidency. In the Senate, Klobuchar consistently stands her ground but is willing to compromise with Republicans when necessary, a quality that may make her more attractive to voters in the midwest and red states. Republicans have noted that she is an extremely reasonable and fair character, which may benefit her general electability. While not at the top of the playing field, Klobuchar remains as a strong candidate for the presidency. Joanna Hou is a 15 year old high school student based in San Diego, California. She is passionate about current events, law, and politics. She is an avid writer and musician, and in her spare time, enjoys reading and boba.